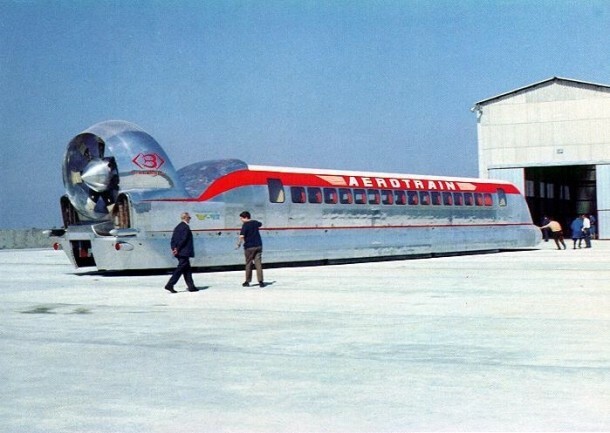 1951 Early style 12 passenger snow coach made by Bombardier of Canada. 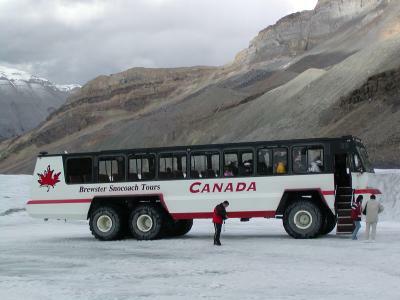 Foremost Terra Bus, at Athabasca Glacier, Canada. 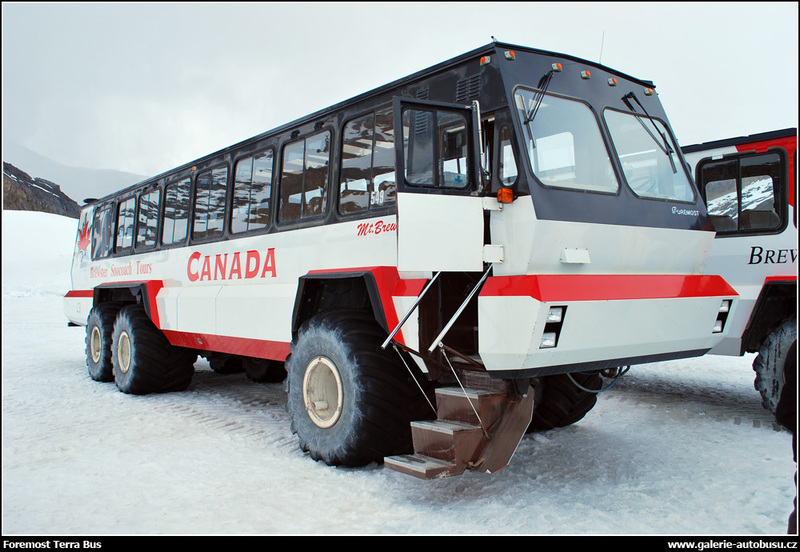 A snow coach is a specialized passenger transport vehicle, designed to operate over snow or ice, similar to a large, multi-passenger snowcat that is equipped with bus style seating. 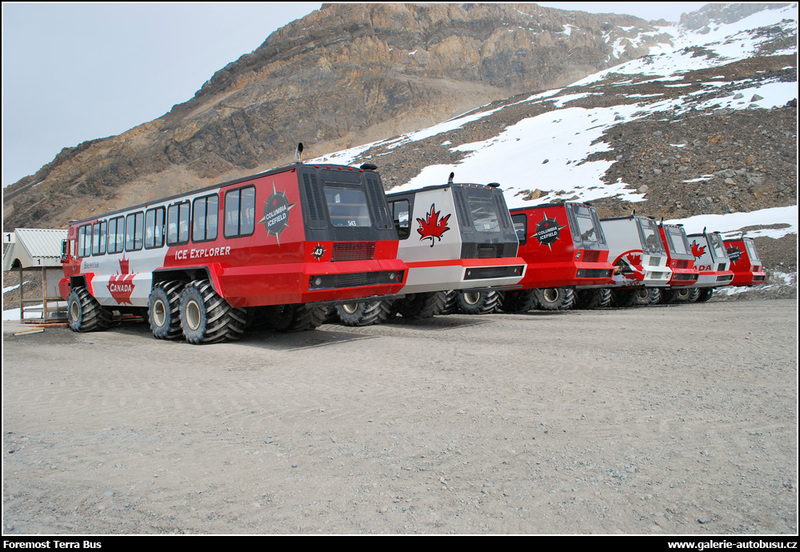 These vehicles may have multiple sets of very large low pressure tires or they may have tracks. 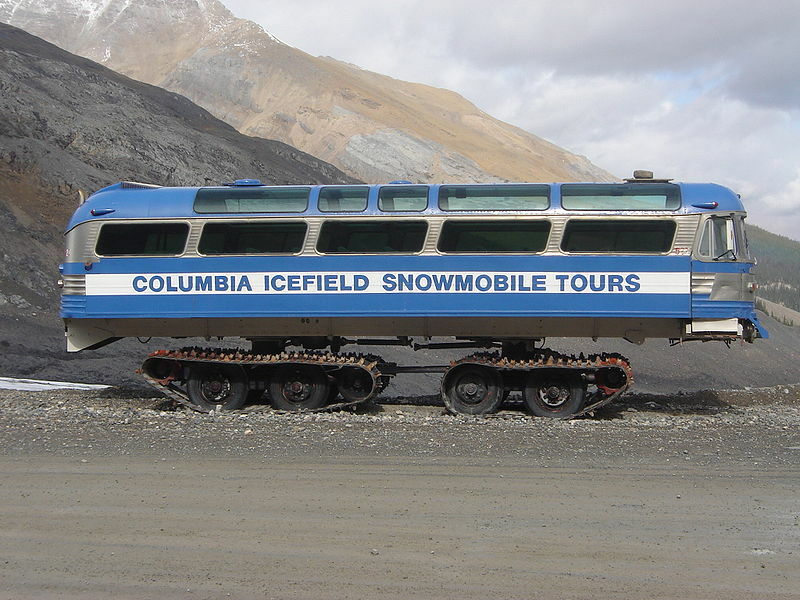 Snow coaches may seat ten or more passengers and are often used for sightseeing tours or for over-snow transportation. 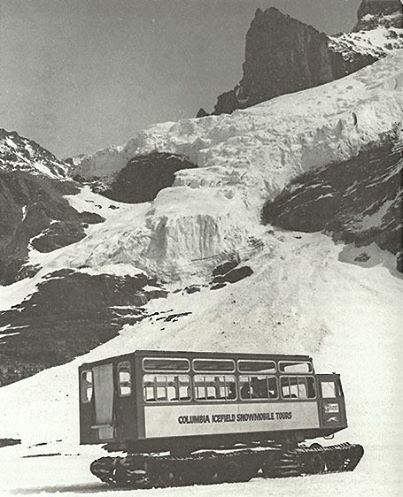 HistoryAn early example of a snow coach was the Snow Bus, built by Bombardier in Canada. 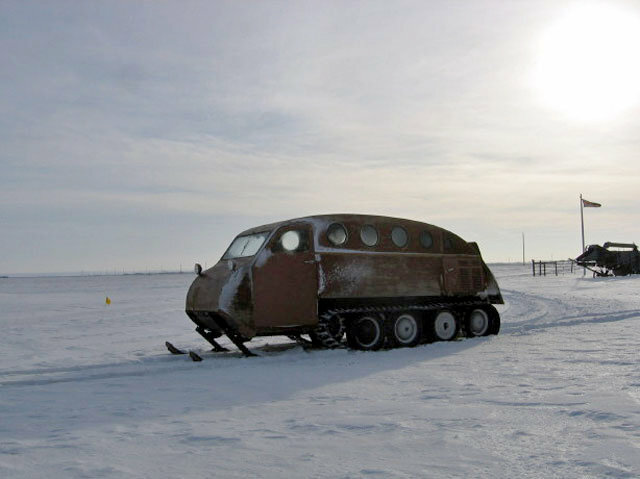 It was equipped with front skis and rear tracks and typically could seat 12 passengers. 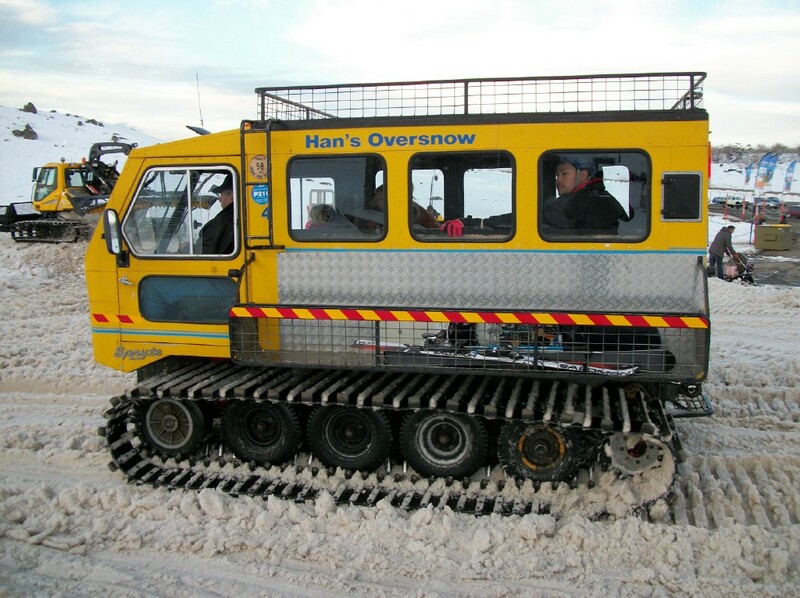 Alternatively, the front skis could be removed and replaced with front wheels. 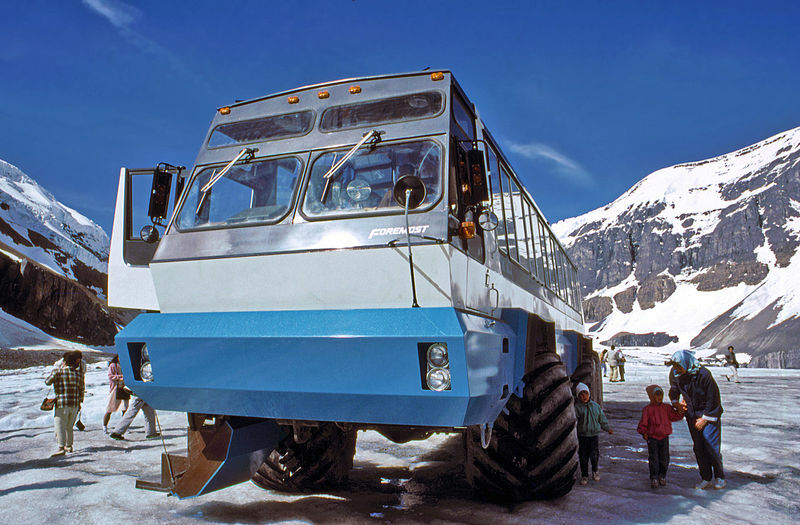 There are documented uses of the Bombardier Snow Bus being used as a school bus, for mail delivery and as emergency vehicles, but they were also used for tours and transportation in snowbound areas.In the early 1960s Thiokol produced the 601 series snowcats which were often configured to carry ten passengers. 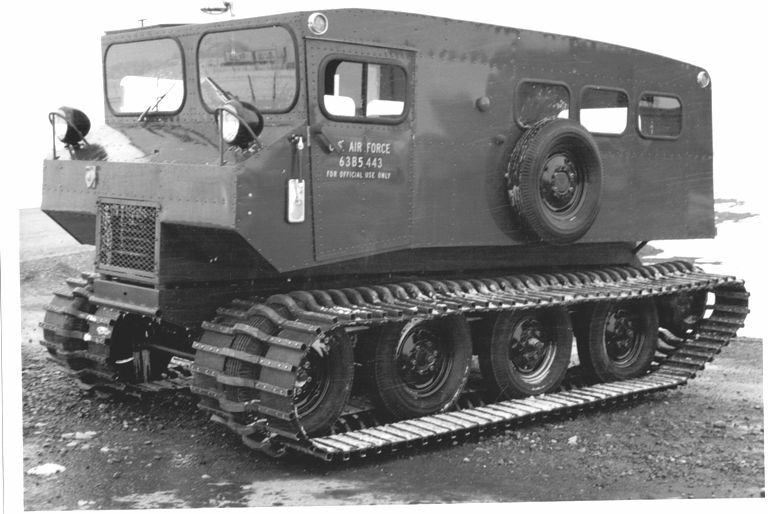 While not a tour bus type snow coach, these found utility with the United States Air Force as well as private industry.A modern example: the Terra BusThe Terra Bus wheeled vehicle is one of the few snow coach type vehicles currently produced. 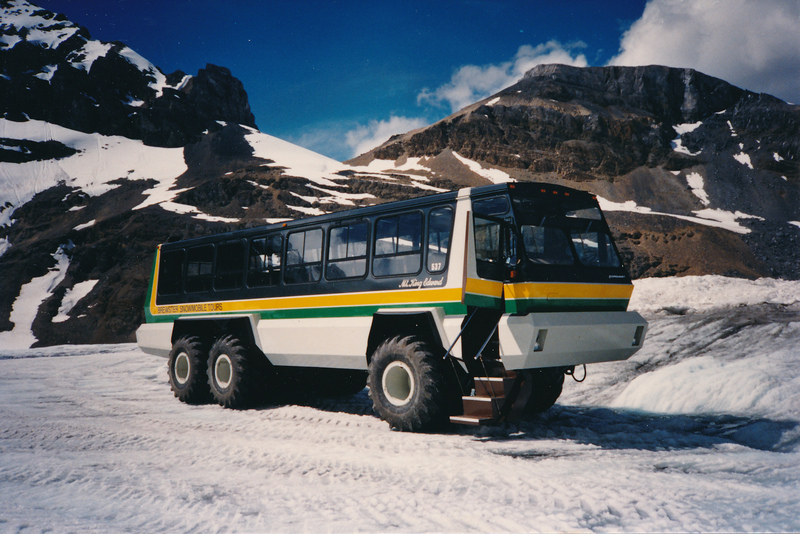 It is an all-wheel-drive, three axle, off-road bus which is specially constructed for use in Arctic climates by the Canadian specialty vehicle manufacturer Foremost, based in Calgary.The Terra Bus can transport up to 56 passengers. The vehicle is equipped with six extra-large, low pressure tires – typically filled to 30 pounds per square inch (210,000 Pa). 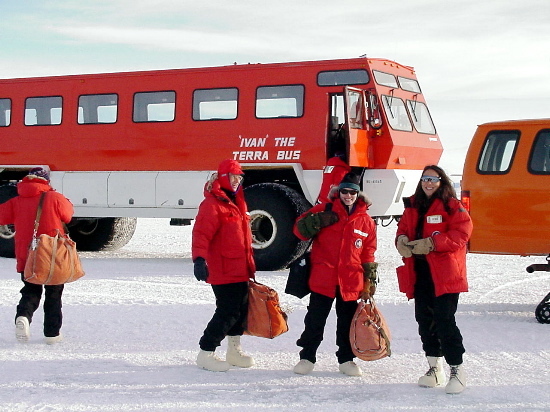 One Modified Terra Bus can be found transporting passengers at the Antarctic research station, McMurdo Station. It only seats ten, and the rest of the space is for storing equipment. 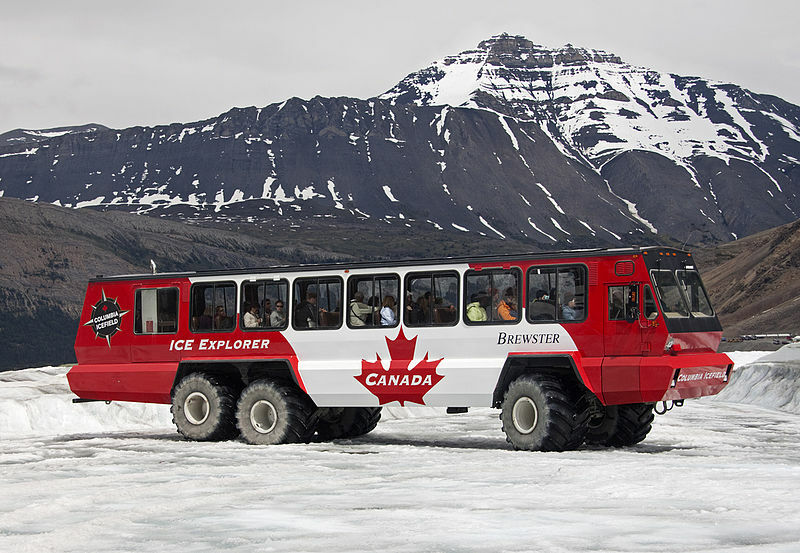 Twenty-two unmodified Terra Buses can be found at the Columbia Icefield and at Jasper National Park being operated by Brewster Co. for their Ice Explorer tour.